Displaying a dazzling combination of technical brilliance and a uniquely profound musical personality, Hagai Shaham is internationally recognized as one of the astonishing young violinists who have emerged from Israel in recent years. 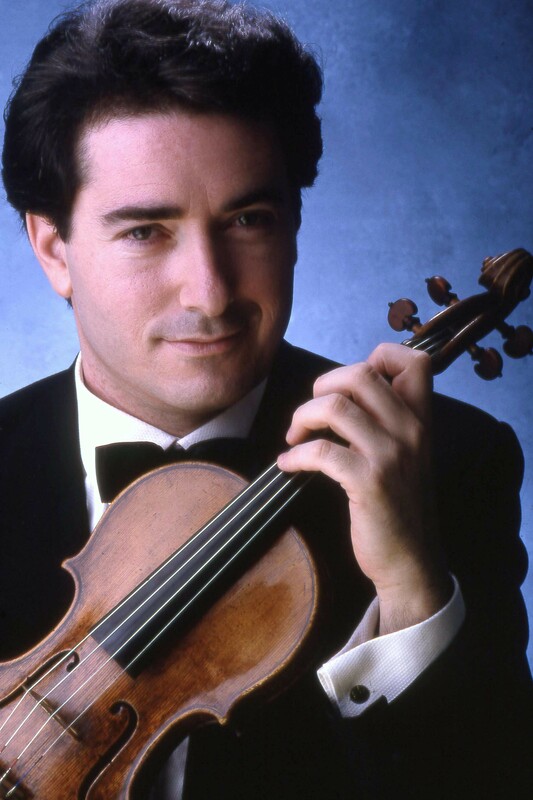 Hagai Shaham began studying the violin at age of six and was the last student of the late renowned Professor Ilona Feher. He also studied with Elisha Kagan, Emanuel Borok, Arnold Steinhardt and the Guarneri Quartet. In September 1990, Hagai Shaham and his duo partner, Arnon Erez, won the first prize at the ARD International Music Competition in Munich in the Violin-Piano duo category, the first competitors to be awarded this coveted first prize since 1971. His other awards include first prizes at the Ilona Kornhouser competition, the Israeli Broadcasting Authority Young Artist competition, The Tel-Aviv Rubin Academy competition, four Clairmont Awards, and annual scholarship from the American-Israel Cultural Foundation. As a soloist he has performed with many of the world’s major orchestras, including the English Chamber Orchestra, BBC Philharmonic, Royal Philharmonic Orchestra, Royal Liverpool Philharmonic, RTE National Symphony Orchestra of Ireland, Belgian National Orchestra, Orchestre Symphonique Francais, Taipei, Singapore and SHanghai Symphony Orchestras, SWF Baden-Baden Symphony Orchestra, Slovak Philharmonic, and the Israel Philharmonic Orchestra under Zubin Mehta. In 1985 he was invited to join Isaac Stern and Pinchas Zukerman in a gala concert at Carnegie Hall, following which Zubin Mehta invited him to perform Brahms’ Double Concerto at Carnegie Hall. In 2006 he performed once again this work under Mehta, at the Isrel Philharmonic 70th anniversary’s celebrations with cellist Misha Maisky. Hagai Shaham is in great demand as recitalist. He regularly tours throughout Europe, North and Central America and performing at international recital series and festivals. Hagai Shaham recorded for Decca International, Chandos, Biddulph, Naxos, Classic Talent and AVIE. He records regularly for Hyperion, where his CDs received critical acclaim. Hagai Shaham is faculty member of the Thornton School of Music at USC, Los Angeles His Master Classes in Europe and Israel attract many students. Together with his colleague, violinist Ittai Shapira, he is co-founder of The Ilona Feher Foundation.